Emily Shaw wrote a great blog this week about 'Civic Tech', which, in case you have been living in a cave for the last year, is the new lingo for the field of 'citizen technology for social change'. Last week I got a call from mobile technology expert, and BBC Technology journalist Dan Simmons asking me to comment on the new keepod, an initiative that recently raised $40,000 on the Indigogo crowd-funding platform for their programme in Mathere, Nairobi. ICT4D is Dead! Long Live ICT4D! Upon reading his own obituary in the New York Times, Mark Twain famously declared that, "Reports of my death have been greatly exaggerated!". As everyone is making preparations for the final ICT4D conference of the year ICTD2013 in Cape Town I though I would have a first hack at putting together an calendar of ICT4D conferences scheduled for 2014. 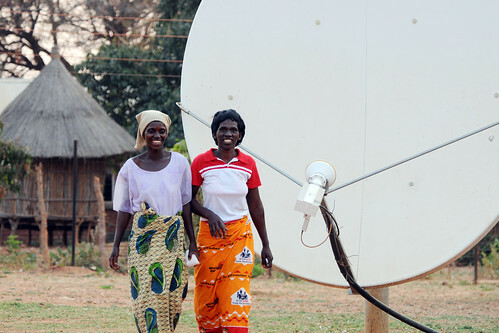 A People-Centred Theory of Change for ICT4D? Duncan Edwards posted a great piece last week entitled "The revolution will NOT be Open Data" in which he riffs on Gil Scott-Heron's critically-conscious lyrics. ICT for Social Justice: hype debunked! This week's 'ICT for Social Justice' event at Google Campus London was fascinating for a number of reasons: cool tech, debunked hype & geek critique.